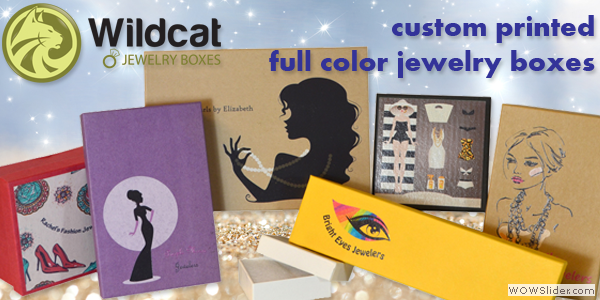 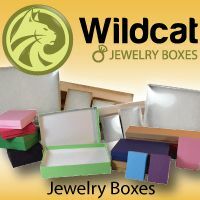 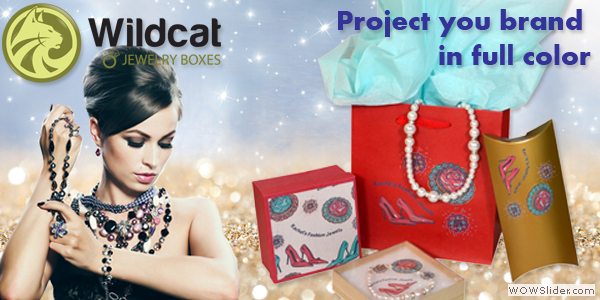 Wildcat's professional full-color printed cardboard or clear lid, cotton-filled jewelry boxes make your jewelry stand out from the crowd. 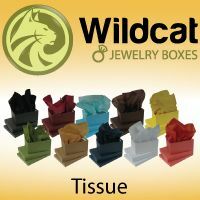 Wildcat also offers unique pillow pack jewelry packaging. 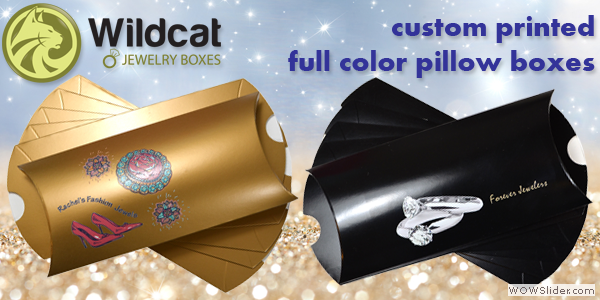 They can also be customized with your store's full color logo. 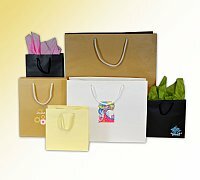 Present it all to your clients in a retail tote bag with your branded logo to match your packaging. 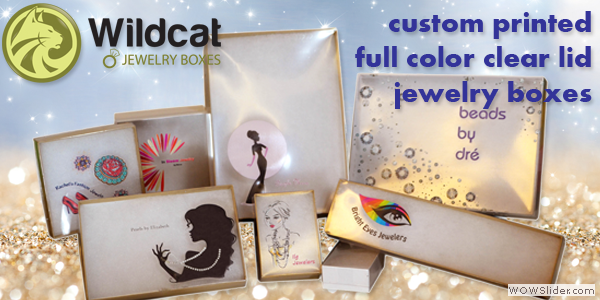 Browse these categories under "Jewelry Packaging"